Book a comfortable car for exploring bright and vibrant Lyon at the cheapest price ever! Fill in the search form to get an exclusive access to car rental Lyon discounts and the lowest car rental rates in France! We provide car rental deals that will pleasantly surprise you. Car rental Lyon offers a wide choice of cars to suite any purposes and your car hire budget. Now you can easily forget about all the car rental stuff that bothered you before! 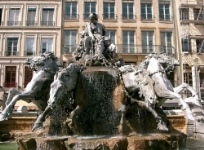 We will make your time in Lyon truly pleasant and unforgettable! 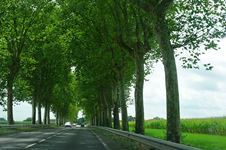 Check a list of Lyon car rental locations to choose the most convenient and look through Car Rental Lyon - Must Know info and a list of Places to Visit with car rental Lyon. Lyon is the capital of masonry and esotericism, a city with an ideal model of night lighting, which has already been adopted in Marrakech, Havana and St. Petersburg. This commercial, industrial and economic center of the country is thriving for more than 500 years, so Lyon and its two million inhabitants is the second largest metropolitan area in the country. Lyon is also a city of outstanding art museums, a vibrant cultural life, club and "alcoholic" scenes, not yet mentioning a great university and fantastic shopping. Green parks, promenades and charming historic center of the city are the gems of Lyon which has taken a worthy place in the list of UNESCO. Note that absolutely all passengers (including those in the back seat) while driving must wear seat belts. The bands reserved for buses, really must be used only by buses, taxis and cyclists. The dotted lines near the sidewalks indicate the places for short period stops (for embarking and disembarking passengers). You may overtake only when there’s a single broken line in the middle of the road or double lines with a broken line on your side of the road. Basilica is famous for its superbly made mosaics and stained glass. On the territory of the crypt of the Basilica is the body of St. Joseph and the Museum of Sacred Art. The Roman Forum was located at the site of the basilica long time ago. 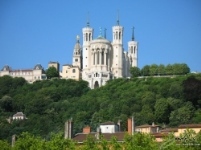 Basilica is located on the hill of Fourvière and partly due to its location it has become a symbol of the city. Basilica is decorated with four main towers and a bell tower. The building is crowned by a gilded statue of the Virgin Mary. You definitely should start your trip about the town from this place – get into your car rental vehicle! 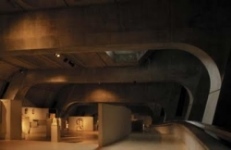 This special museum is located on the top of Fourvière Hill and offers its guests a unique opportunity to learn more about how Lyon was founded, to meet its early history up to the VII century. The museum collection is represented by a series of thematic exhibitions, ranging from the art of war and reconstructed Roman war chariots and ending with the daily life of the inhabitants of the city at that time. Drive your car rental vehicle in Fourvière direction to discover more historical info about one of the most beautiful French cities! The central element of Terry Square is the fountain of the XIX century, designed by Frederic-August Bartholdi. Bartholdi is known for his creation of the Statue of Liberty in New York. Today Bartholdi Fountain was a little modernized and decorated with lights. Take a direction to Terry Square, leave your car rental vehicle on the parking while taking beautiful photos of the lighted fountain in the evening! 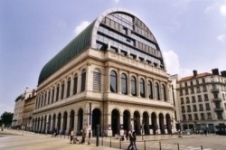 It is a building of the XVIII century constructed in neo-classical style specifically for the Lyon Opera. The love of Lyon inhabitants to the opera lasted for centuries and in 1983 started the works on creation of a larger building that can accommodate a growing number of fans of opera. See yourself what came of it – drive your car rental vehicle in the opera’s direction and don’t miss your chance to enjoy French opera show in the evening! RentalCars24h.com offers you reliable car rental Lyon services that will help you to feel free and independent when moving around the town. Providing best online prices for car hire Lyon services, RentalCars24h.com allows you to save money each time when you rent a car in Lyon.